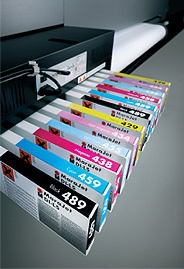 MaraJet DI-LS is a low-odour, mild solvent after market ink for Roland wide format solvent printers. 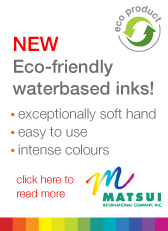 A perfect colour match allows users to simply install MaraJet DI-LS 440 ml cartridges into the printer when their current cartridges are emptied. MaraJet inks offer outstanding performance and value for your printing needs by combining excellent light fastness, vivid colour density and a wide colour gamut. Sold in 440 ml cartridges and 1 litre bulk containers. – MaraJet saves time and money.